Today’s post takes a look at pretrial motions practice in Virginia Fraud Against Taxpayers Act cases. Specifically, we will take a look at a specific motion in limine that will need to be filed in almost every VFATA case — a motion to preclude the defendants from informing the jury about the treble damages provision of the statute (or, if the case is a stand-alone anti-retaliation case, the double damages provision). Needless to say, a lawyer should consult with opposing counsel prior to filing the motion. This is exactly the sort of thing that can — and should — be done by way of a consent order, but that depends to a large degree on the quality of the lawyering being done on the other side. Some lawyers will demand to see a published opinion for anything and everything before they will accept it as a principle of law. In that regard, a person is bound to be disappointed, because there is no published opinion, to my knowledge, confirming that a jury should not be informed that a plaintiff will receive treble damages in a federal False Claims Act case or in a Virginia Fraud Against Taxpayers Act case. Instead, it is necessary to look at (1) the function of a jury in civil litigation, (2) the rules of evidence and (3) case law from other statutes with similar liquidated damages provisions. A jury’s function in a VFATA case is to determine liability and, if the defendant is liable, to calculate the damages in a case. This is a distinct and different issue than the actual judgment ultimately awarded to a plaintiff. Determining the amount of the actual judgment is work for the Court and, by way of the legislation, the Virginia General Assembly. 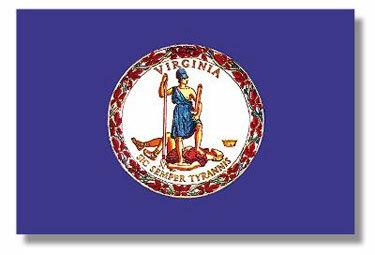 The Virginia General Assembly’s purpose in doubling the damages award under the Virginia Fraud Against Taxpayers Act was (obviously) to ensure that plaintiffs recover twice the amount they have lost. If a jury were to be told about the double damages provision, it might adjust the amount of the judgment downward, thereby thwarting the legislature’s intent. Under Virginia Rule of Evidence 2:401, only relevant evidence may be presented to a jury; pursuant to Rule 2:402, irrelevant evidence may not be presented to a jury. “Relevant evidence” means evidence having any tendency to make the existence of any fact in issue more probable or less probable than it would be without the evidence. Without question, the fact that the Virginia General Assembly created a liquidated damages provision (whether we are talking about double damages for wrongful termination or treble damages under the VFATA’s main provisions) is not relevant because it does not pertain even remotely to whether the defendant broke the law or, if so, the amount of the plaintiff’s damages, and such evidence is therefore irrelevant. Even worse, evidence of a liquidated damages provision may even be prejudicial to the plaintiff. The Virginia Rules of Evidence provide that even relevant evidence “may be excluded if … the probative value of the evidence is substantially outweighed by … the danger of unfair prejudice, or … its likelihood of confusing or misleading the trier of fact ….” Va. Sup. Ct. R. 2:403. While there may not be a case exactly on point from false claims act litigation, this exact issue has been extensively discussed in the context of antitrust suits brought under the Clayton Act. (15 U.S.C.A. § 12 et seq.) Under the Clayton Act, plaintiffs are entitled to treble damages. Courts have consistently held that the jury should not be informed of this treble damages provision. The courts’ reasoning is that “[t]he justifiable fear of plaintiffs is that the juries will adjust the damage award downward or find no liability, therefore thwarting Congress’s purpose, because of some notions of a windfall to the plaintiff. One court has even suggested that a jury might take the revelation of the treble damage provision as an intimation from the court to restrict the amount of damages.” Pollock & Riley, Inc. v. Pearl Brewing Co., 498 F.2d 1240, 1243 (5th Cir. 1974). In many different types of civil litigation, pretrial motions in limine are an important part of the trial strategy, but this is especially true in VFATA cases or in other types of cases with a liquidated damages provision. The plaintiff should ask the Court to enter an Order estopping the defense from making any reference at any time during the trial, during argument, or in the jury instructions, as to the double damages (or treble damages) provisions of the statute.